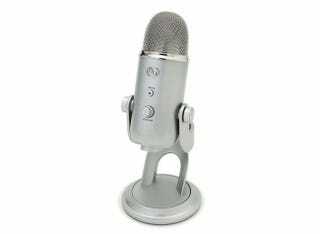 USB mics are great for podcasting, usually offering high quality sound, and easy plug-in-and-play setup. But more often than not, they aren't so good when you want to record music or other sound. Blue Microphones' Yeti bucks that trend. It looks retro, but inside, the Yeti is all clever modern tech — it has an array of three condenser capsules for high quality speech, vocals, musical instruments, and pretty much any other sound you throw at it. The Yeti also offers four recording patterns to choose from (cardioid, bidirectional, omnidirectional and stereo), plus physical gain and mute buttons. And like most modern USB accessories, it works out of the box with Mac or PC. Bear in mind this deal is Continental US only, but shipping is free. Click the link below to grab a Yeti or to view more info.